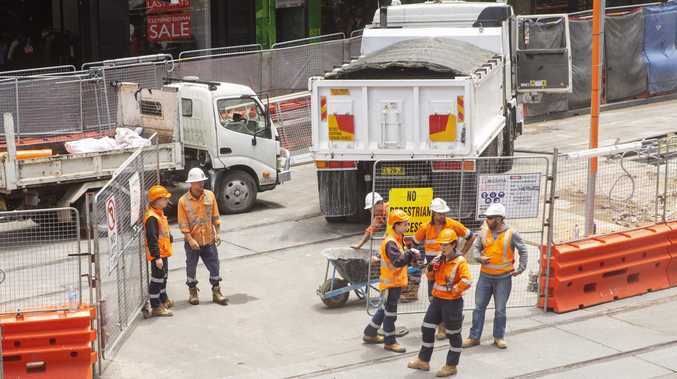 A counter-terrorism plan for Sydney's light rail won't be in place until at least a year after it opens because Clover Moore's council is hiring artists to design heritage-sensitive barriers. 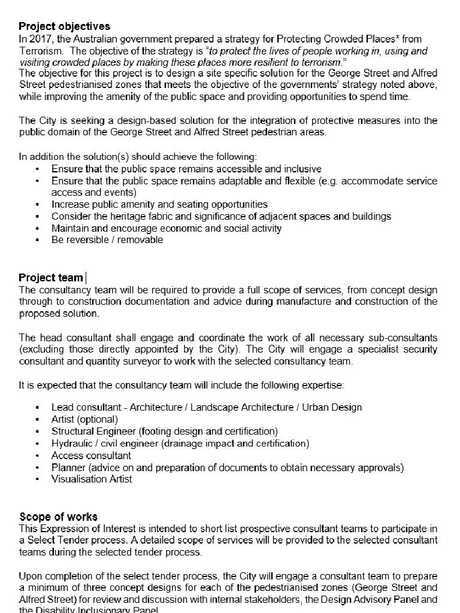 An internal briefing document obtained by The Daily Telegraph shows the City of Sydney is seeking a team of consultants, including two artists and an architect, to work on terror defences. The document stipulates that designers will need to protect pedestrians while creating an "inclusive" environment that considers "artwork" and "the heritage fabric and significance of adjacent spaces and buildings". The council acknowledges the light rail creates the potential for terrorist attacks by creating wider streets with more pedestrians without shutting off vehicle access. But its plans to protect new "pedestrianised zones against potential terrorist attacks" won't be fully implemented until mid-2021 - well after the light rail begins running in 2020. "George Street will be pedestrianised between Bathurst and Hunter streets and footpaths widened … existing driveway access for buildings will be maintained and east and west roads will remain open to vehicles.," it says. "(We are seeking) the implementation of a design based solution for the management of the George Street and Alfred Street pedestrianised zones against potential terrorist attacks." 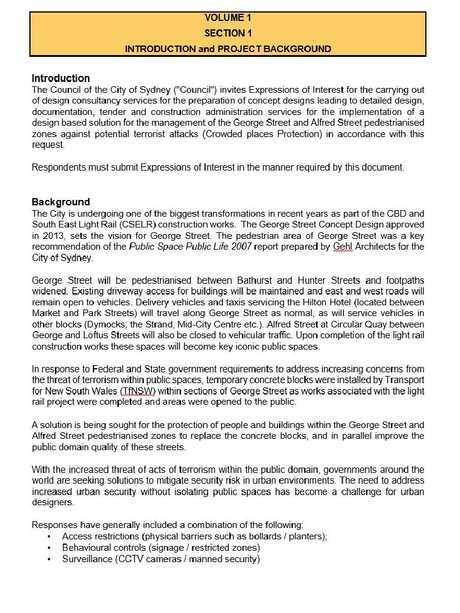 The document says the threat of terrorism has increased in recent years and temporary concrete blocks had been installed in George St which the council wants replaced. "A solution is being sought for the protection of people and buildings within the George Street and Alfred Street pedestrianised zones to replace the concrete blocks, and in parallel improve the public domain quality of these streets." It said the design approach should be consistent with the city's suite of public domain furniture and sensitive to its heritage and artworks. 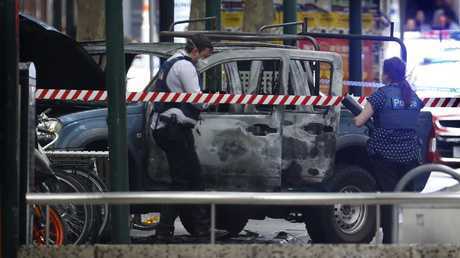 The council said it would consider the installation of permanent "physical barriers" in the CBD, increased CCTV and anti-terror security guards. But the document revealed it will not select a design consultancy team until June and it is anticipated the defence measures would not be installed until mid-2021.